Most major airlines allow children under the age of 2 to fly free as lap children, resting on an adult’s lap for the duration of the flight. You’ll typically be charged full fare for a child who’s two years old and up. Luckily, some airlines occasionally offer kids fly free promotions. Before your next family adventure, consider one of these kids fly free airlines for savings. New for 2019: When you sign up to become a member of the Discount Den ($60 annual membership), your kids (age 14 and under) will fly free on Frontier Airlines. The offer is valid on select domestic flights, which can easily be identified by a “Kids Fly Free” logo on the airline’s website. Scandinavian Airlines regularly offers kids fly free incentives to Denmark, Sweden, Finland, and Norway from several major U.S. cities. Children must be under age 11 and accompanied by an adult. The airline’s most recent promotion ended Dec. 10, 2018, so keep an eye out for new offers. British Airways offers kids fly free initiatives from time to time, with its most recent promotion in 2018. The airline allowed up to two children under age 12 per family to fly free domestically. Southwest offers discounted fare for children ages 2 to 11, a rarity in the airline industry. Parents or guardians must provide proof of their child’s age for Child Fare eligibility. Another way for families to save with Southwest? The Companion Pass! 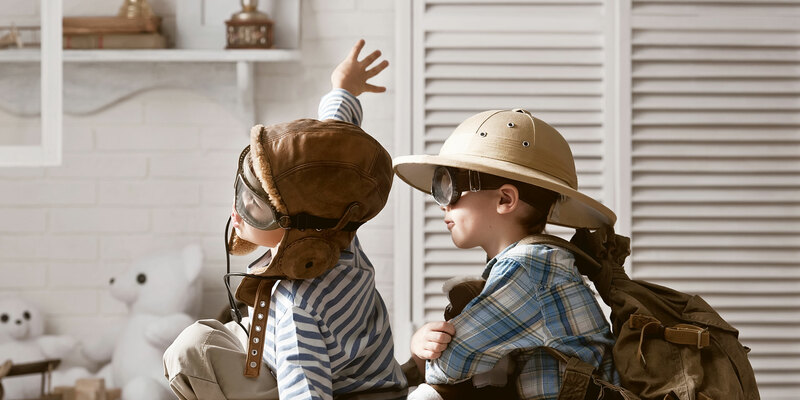 Qatar Airways offers kids fly free promotions on a regular basis, waiving airfare for up to two children ages 0 to 11. Air Tahiti Nui is known to offer kids fly free promotions. Past incentives have allowed up to two kids (up to age 15!) per booking to fly nearly free (those darn taxes) on flights from Los Angeles to Tahiti. 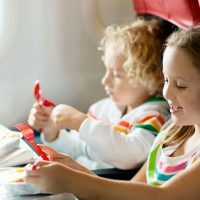 You’ll receive a 25-percent discount on airfare for children ages 2 to 11 when flying with Virgin Atlantic. You’ll also receive a 25-percent discount if you choose to purchase a separate seat for your baby under age 2. Documentation of age is required. Family Vacation Critic participates in the SkimLinks and SkimWords affiliate programs.